From the February 2015 Desktop News | The Association of American Geographers awarded Dr. Bobby Wilson the AAG 2015 Lifetime Achievement Award. The award recognized his extraordinary contributions to the scholarship of urban and social geography, urban studies, and anti-racist theory and practice; his teaching and mentoring; and his exemplary leadership in support of geography. Wilson’s career spans more than four decades. Through his research, he has addressed issues of housing, urban revitalization, economic development and social justice for black communities. His numerous publications offer sophisticated theoretical appraisals of capitalist processes, social engineering and neoliberalism and have led directly to a sharper scholarly perspective on spatial dimensions of the black experience in the urban South. Wilson’s two major works, America’s Johannesburg: Industrialization and Racial Transformation in Birmingham (2000) and Race and Place in Birmingham: The Civil Rights and Neighborhood Movements (2000) analyze the geography of Birmingham, looking at both the large-scale processes of economic, political and social transformation as well as the on-the-ground social movements that respond to these forces. At the regional and national levels, Wilson has been a leader in helping to address questions of racism and access within the institutional framework of the discipline. In the mid-1980s, he was a member of the AAG’s Commission on Afro-American Geography, the first such group to address racism and anti-racism with geography. He played a similar leadership role within the southeastern division of the AAG. 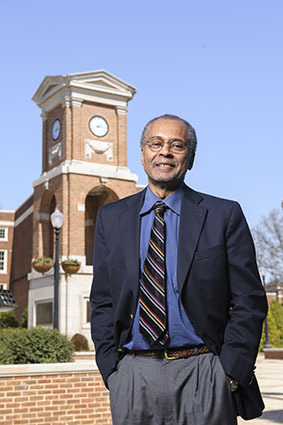 He has also had a constant presence at the local level where his commitment to anti-racist scholarship has played out in contributions to his own community by working as a board member for many local agencies devoted to community wellbeing and serving in a large number of community-based research projects. The award will be presented to Wilson at the Annual Meeting of the AAG in Chicago on Saturday, April 25.